Cris Home Inspections is the most trusted and reliable name in the field of Inspection Services in South Florida. We have been serving thousands of clients since 2000. Our Inspectors are highly qualified, licensed, bonded and Insured with over 15 years’ of experience and skill to cater to your all your Home and Commercial Inspection needs. We offer our services to clients in Saint Lucie, Palm Beach County, Broward County, and Miami/Dade County. If you wish to speak with our home inspection specialist to get more information on our services, or if you are ready to schedule a home inspection, please call us at 561-393-9977 or 954-523-4040. Cris Home Inspections is a name that offers client’s a number of advantages. Recognizing all the needs for repairs so that buyers and sellers can both benefit from them accordingly. Certified and Experienced Professionals Home Inspectors. All our Home Inspectors have over 15 years’ experience. We are proud to say that our Inspectors are dedicated and serious about their work. Reliable and trustworthy. For years we have provided our home inspection services to thousands of clients who have not only found our work reliable but, also rely on the name of Cris Home Inspections. We maintain that level of reliability and trustworthiness for all our clients, knowing that their trust comes first. Our focus remains on maintaining professionalism. 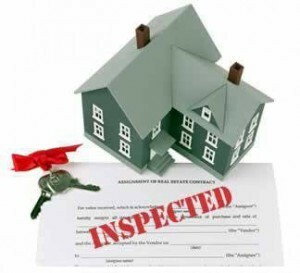 We know that, in order to stay a successful and reliable name, we need to be professional in all aspects, so that our clients can be content knowing that the Home Inspection was handled professionally throughout the entire process. Here at Cris Home Inspections you can rest assured that we are dedicated, reliable and will offer accurate inspection services. Call us today Palm Beach county 561-393-9977 or Broward/Miami 954-523-4040 to schedule your next Inspection.